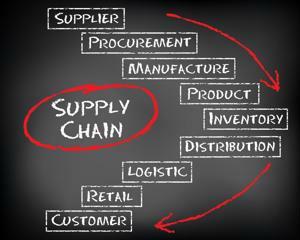 Supply chains are crucial to any business, big or small. Unfortunately, supply chain management is often a function that mid-sized companies overlook or perhaps assume will take care of itself. According to Demand Media contributor Stan Mack, when it comes to the management of supply chains, two things are of the utmost importance: speed and efficiency. All companies must strike a distinct balance between the two criterions. Speed is key for customer satisfaction. Consumers value quick delivery. However, the author noted that while speed is significant you cannot forget the importance of cost to your overall business. A good supply chain allows cheap products to be delivered in a reasonably timely manner while maintaining a sufficient level of quality. Supply chain management can help with cost reduction, customer satisfaction and quality of product. There are a lot or risks and rewards in the world of supply chains. An area that can affect so many key aspects of your business is not something that should be taken lightly. Procurement services can be a great all-encompassing resource to help improve weak sections in a company's supply chain. However, sometimes businesses need to self-repair supply chain problems. So, here are some of our best tips for the betterment of your business' supply chain management. 1. Embrace the cloud: CIO contributor Jennifer Lonoff Schiff points to the utility of embracing new technologies that can improve your company's overall efficiency. Industry CSO Kurt Cavano told the author that cloud systems allow for real-time tracking of inventory, sales and shipping all under one umbrella. This can help eliminate gaps in production and demand by allowing businesses to track trends and patterns in buying habits and product popularity. 2. Tweak your shipping system: Shipping is a key point in the supply chain as ecommerce continues to gain popularity. Ensure your company has systems in place to deal with lost or late shipments as well as a way to track goods en route to consumers. Taking the time to review and improve these structures on your end and your distribution center's end can save time for you and improve overall customer satisfaction. 3. Align your marketing and supply chain teams: Schiff also noted that importance of ensuring your marketing and supply chain leaders are on the same page. When marketing runs promotions, are your distributors and manufacturers notified in advance? If not, they should be. The supply chain team needs to work with the marketing team to determine the potential increase in inventory and stock up accordingly, consultancy SVP Pat Sullivan told Schiff. 4. Do your research: When it comes to global sourcing, a lot of factors can play into the successes and failures of a supply chain. Keep a close eye on supplier countries. Do any of your distributors exist in countries with turbulent political climates? Are there natural disasters approaching these regions? Be sure to prepare your company ahead of time for these potential problems. If possible, try to avoid these problems altogether by implementing a strategic sourcing plan.